Balloons have been a colourful, cheery part of celebrations since at least the late 1800s, but they can also alert people to serious hidden health conditions. Blowing up a balloon is a key health test that most people have been taking their whole life without realizing it. 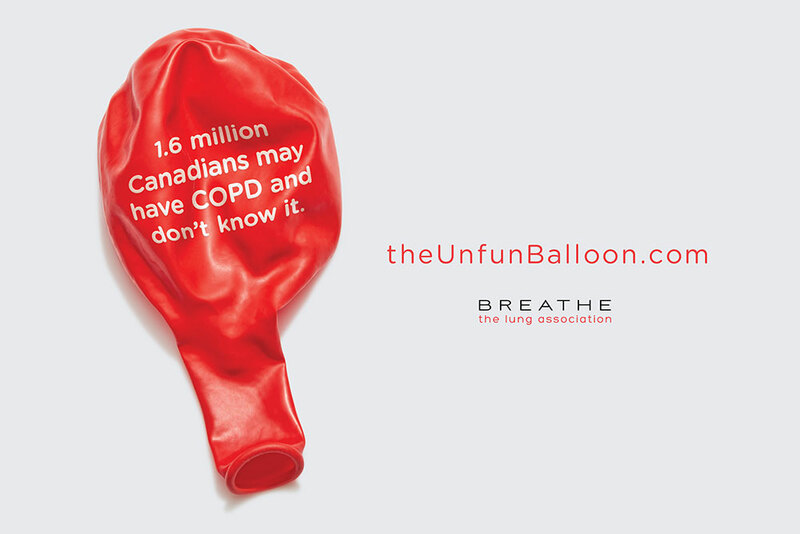 The Lung Association – Ontario has partnered with BBDO Toronto to urge Ontarians to take “The Unfun Balloon” test. The new test is part of an effort to raise awareness of Chronic Obstructive Pulmonary Disease (COPD). An umbrella term for a group of progressive lung diseases including emphysema and chronic bronchitis, COPD accounted for 4.4% of all deaths among Canadians 40 and over in 2011, and is expected to become the third largest cause of death worldwide by 2020. 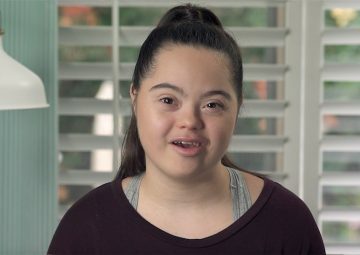 It is estimated that 1.6 million of the approximately 3.2 million Canadians currently living with COPD don’t know it, preventing them from seeking out potentially life-saving medical treatment. “With such a large number of people estimated to be living with COPD who have not yet been diagnosed, it is crucial that we do what we can to ensure they get the treatment they may desperately need,” says George Habib, President and CEO, The Lung Association – Ontario. Blowing up a balloon can be an indicator of lung health. 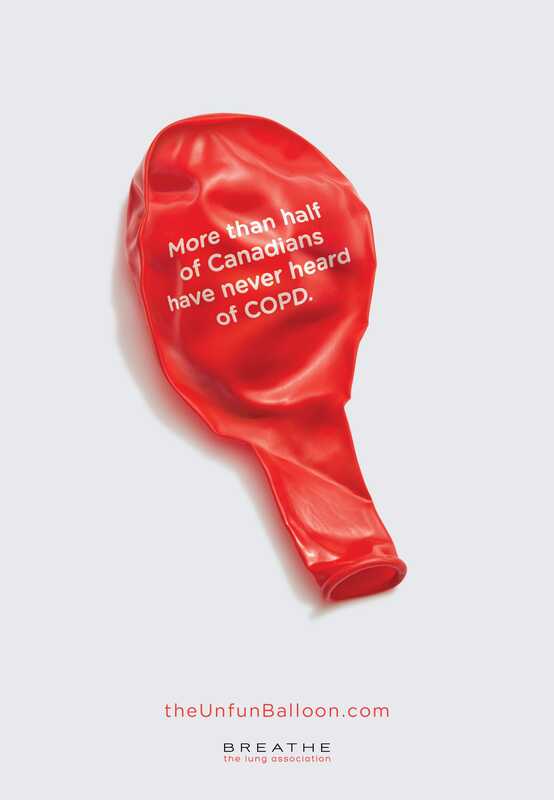 The Lung Association is urging people who struggle with the task to visit theunfunballoon.ca to discover the additional symptoms and risk factors of COPD. 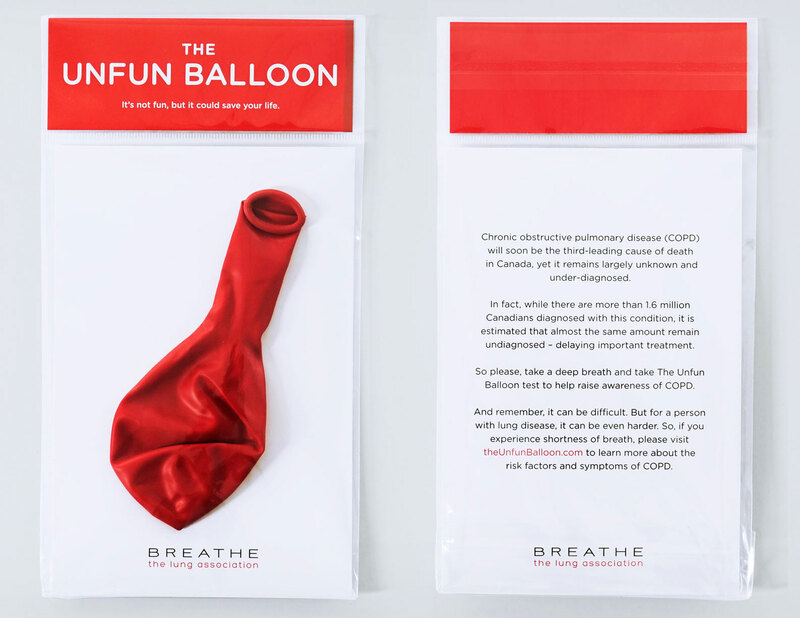 The Lung Association is mailing The Unfun Balloon to GTA residents so that they can conduct the test at home, while an accompanying awareness campaign includes transit ads featuring an image of an uninflated balloon driving people to get more information about COPD at theunfunballoon.ca URL. 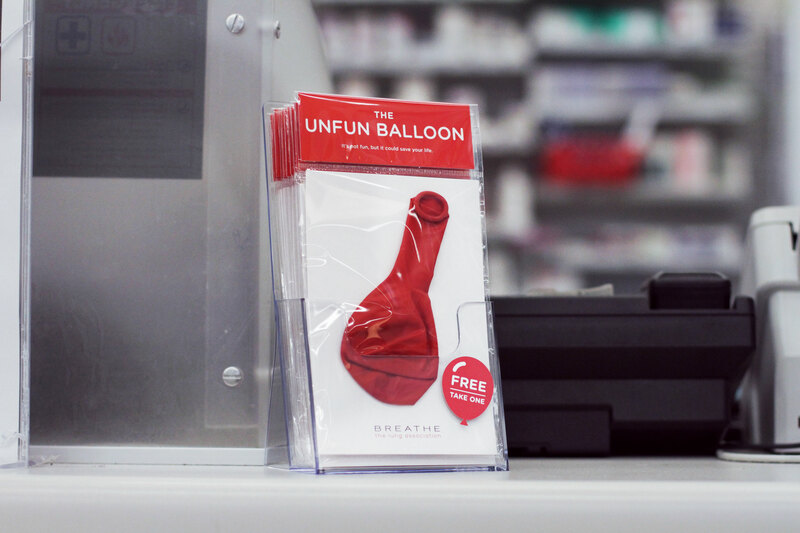 The Unfun Balloon will also be available for free at select retailers, but any balloon can be used to take this new test making it very accessible and easy to do. • Do you cough regularly? • Do you cough up phlegm regularly? • Do even simple chores make you short of breath? • Do you get many colds and do your colds usually last longer than your friends’ colds? If the answer to any of those questions is “yes,” The Lung Association is urging you to see your healthcare provider to be assessed for COPD. Your healthcare provider may send you for a lung function test called “spirometry,” which measures the volume and flow of air that can be inhaled and exhaled.